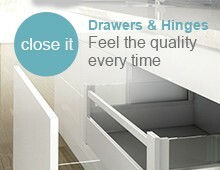 The Antaro drawer's clean lines complement modern minimalistic living and look great in any room. 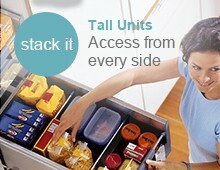 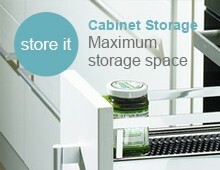 Designed to make full use of the 400mm internal cabinet width, each Blum drawer provides maximum storage space. 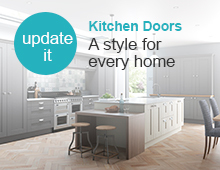 *Fitted with gallery rails, the optional glass sides allow you to make maximum use of the available space, whilst adding an additional design element. 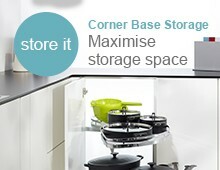 *We can provide spacers for cabinets constructed with 15mm thick sides, please contact us. 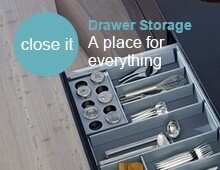 Antaro Inner Drawer Assembly - Quick and simple to assemble and no need for specialist tools.